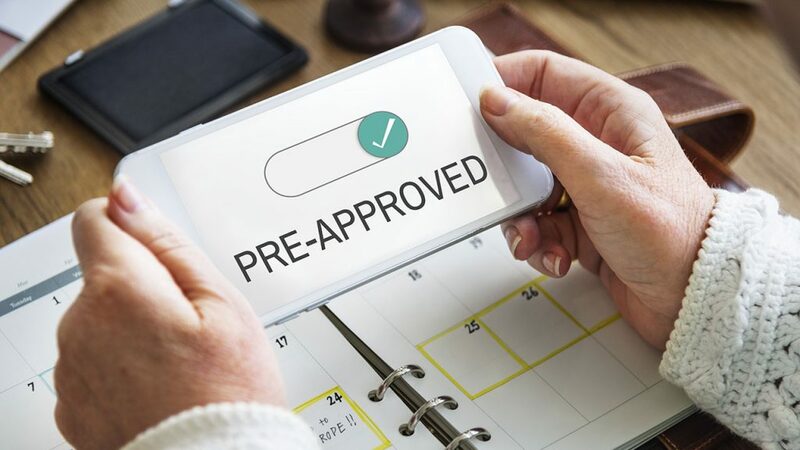 The home loan pre-approval process, also known as pre-qualification, approval in principle, or conditional approval, is when you’re approved or denied for a home loan by your bank or lender, before you actually apply to purchase a house. The mortgage lenders or banks review your finances to assess whether or not you will be able to repay a home loan successfully. If they find you eligible, they’ll grant you pre-approval allowing you to borrow a certain amount. Mostly pre-approval granted by banks lasts for three to six months which gives you an ample amount of time to find the right loan. Essentially, pre-approval is a guarantee that the mortgage lenders will approve you for a home loan when you apply to acquire a loan. This can be useful when you are hunting down your dream house. After all, the process of buying your own house is exciting, yet complex and lengthy, and getting your loan pre-approved can make the process simpler and quicker. So, what exactly happens in the process of home loan pre-approval? How can you apply for it? What are its benefits and conditions? What happens when you are pre-approved? In this guide, we’ll answer all these questions. So without further ado, let’s talk business. To help make the home loan pre-approval process simple for you, we have compiled a list of three steps that you need to take when you apply for home loan pre-approval. First research your own finances to determine how much you are capable of borrowing. Evaluate your income, your expenses, the assets you own and the money you owe. This will give you an idea of your finances. Additionally, you should determine the amount you can afford to pay as monthly repayments. Once you have reviewed your finances, the next step is considering the type of loan that is right for you. There are offset, redraw, fixed and variable home loans available and the one that is right for you depends on your individual situation. A financial advisor should be able to sort out the right loan for you. The next step is to apply for pre-approval at the bank or lender. Most banks offer an option to apply in person, online or over the telephone. Your loan pre-approval application initially requires some personal information, asset and liabilities and for identity verification. You can apply online on Josh Financial Services website o alternatively on of Mortgage Broker can assist you filling in the application. Next step is to provide documents to support your application. Identification such as a passport, driver licence or birth certificate. 2 most recent payslips or Tax returns in case you are self-employed. most recent group certificate / PAYG summary. You’ll also need to provide the lender with proof of funds to complete. It could be savings, term deposit, equity in the existing property, proceeds of the of the sale of existing property or a gift letter from family. The documents need to be in your name or family member giving the GIFT. Your name or the name of an immediate family member. The funds available for redraw. A recent date, no older than 30 days in case of savings account. Once you have provided the basic information, the lender or bank will assess a number of things. This includes your credit history or credit report, your financial situation and the loan you want to apply for. Your credit history shows a complete record of your credit cards, loans and other types of credit over the last several years and also provides information about bankruptcies or defaults. It also determines your current credit score or credit rating, which is an important factor in getting approved for a loan. Your financial situation is determined through your funds as well as your credit history. You’ll need to provide proof of funds such as savings, equity, term deposits or shares to the lender or bank so that they can assess your financial situation. The loan you want to apply for will be assessed by the lender or bank to determine whether you can qualify for it given your financial situation or not. Once the lender or bank has analyzed your finances, they will decide whether you are eligible for the home loan or not. If they believe that you can repay the loan, they will grant you home loan pre-approval. There are several benefits to getting your home loan pre-approved. For example, home-loan pre-approval gives you an idea about the amount you can potentially borrow. This means that you will know that you can acquire a mortgage for a house within a specific price range and won’t waste your time searching for homes that you cannot afford. Moreover, if you have been granted pre-approval, you can make a genuine offer on a house you like, as the owner of the home will know that you can get the mortgage to buy the home. Vendors favour buyers who have been granted pre-approval as they can reach a settlement with them sooner. There are several conditions that you must be aware of when applying for a home loan pre-approval. This includes providing accurate and correct information in your pre-approval application and providing the required documents such as recent pay slips, ID verification, recent loan statements (if any) and most recent payment summary statement. You should also discuss Lenders Mortgage Insurance (LMI) with a financial advisor and determine if it is appropriate for you. Your pre-approval is only valid for a limited time, so get a pre-approval only when you have planned to buy a home. Lenders can reject your home loan pre-approval if your credit history is poor, you failed to provide sufficient income documentation or you didn’t have sufficient income to repay the loan, your home loan amount exceeds 95 per cent of the value of the property or your financial situation isn’t stable. The process of getting your loan pre-approval can be time-consuming, but it is definitely worth it because at the end of the day you can apply for a loan with a peace of mind that it will get approved and you’ll be able to buy your dream house. If you have any more questions about home loan pre-approval, talk to our experts.